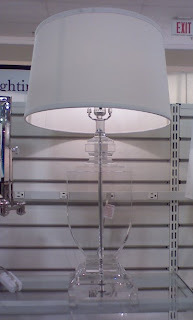 This weekend while shopping at Homegoods I noticed they have some pretty great lamps available. 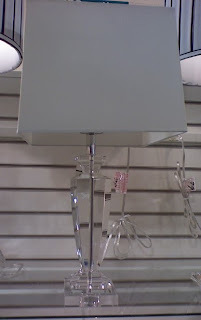 I'm not in the market for lamps, but when I am I sure will be stopping back here. Do you ever see things that you don't need or have room for, but you want to buy and take home "just in case". Yea, this pink chair was one of those things. oooh these are great. 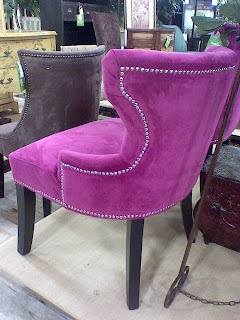 i love the cut out one & i immediately pictured the acrylic ones in a bedroom...or perhaps on a console - so elegant! HomeGoods is so dangerous! I never go in looking for anything, but I always come out with something! sheesh. 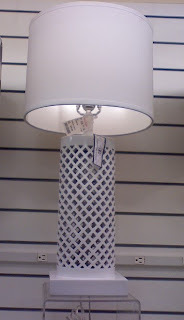 oh, I freaking love homegoods!! 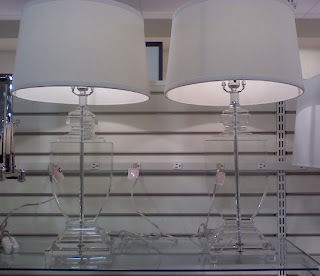 love those lamps and that store!! 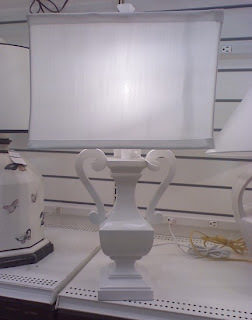 this is where my lamp addiction began. 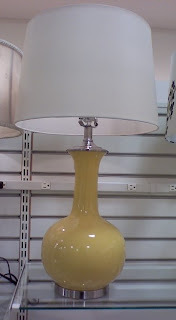 Such great prices for beautiful lamps. I love that yellow lamp, so so much!